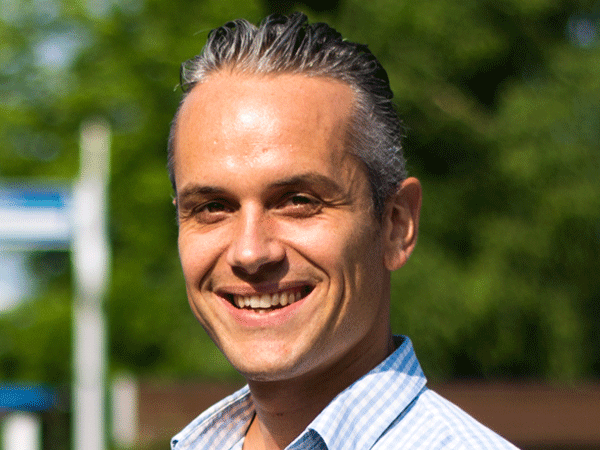 Pieter Van Gorp is conducting research on personal health data as an economic asset. He considers health records as well as evidence-based workflow and decision support models as examples of this asset with underused economic potential. Regarding health records, he has performed research on MyPHRMachines, a platform for securely analyzing Personal Health Records in the cloud. Regarding workflow models, he has contributed novel transformations for UML, BPMN and Petri-Net models. Van Gorp is also a facilitator of reproducible research (e.g., via the SHARE20.eu cloud.) Since 2008, he is an assistant professor in the School of Industrial Engineering at Eindhoven University of Technology. Previously he held a postdoc position at the University of Antwerp, where he also obtained his Ph.D. degree in Software Engineering. Since 2014, he is leading GameBus.eu and he is providing related scientific services. “There is a multitude of mHealth applications that aim to solve societal health problems by stimulating specific types of physical activities via gamification. However, physical health activities cover just one of the three World Health Organization (WHO) dimensions of health. GameBus is the first platform that supports Unified Health Gamification (UHG), a novel form of gamification that covers besides physical health also social and cognitive health and well-being. Instead of rewarding separate activities in the three WHO dimensions using different mHealth competitions, UHG combines the scores for such activities on unified leaderboards and lets people interact in social circles beyond personal interests. Since 2015, we have applied GameBus prototypes in order to gain experience on applying UHG in various corporate settings. We have previously published preliminary results from those rather small scale scientific evaluations. In our Games For Health 2017 talk, we will present the positive results from the most recent and most large scale commercial application of GameBus. It involves a contract with a Flemish municipality that aimed to tackle the low activity levels of its own employees. The municipality employs roughly 700 workers of varying socio-economic levels. Job types also vary significantly, ranging from office work, over kitchen tasks, cleaning tasks and elderly nursing tasks, to heavy manual labor outdoors.